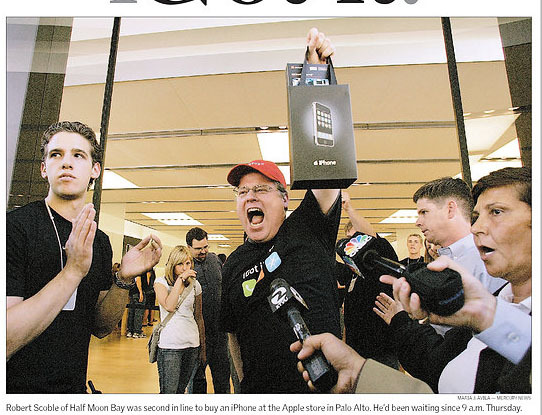 I watched Scoble and Thomas Hawk on the ZoomrTV stream getting their iPhone. They stayed their all night blogging and streaming. It was a bit idiotic but at was a big party with lost of fun people in line. Next thing is checking out ebay and see how much a second hand iPhone goes for. There were 6249 offers the last I checked, prices around the $900.